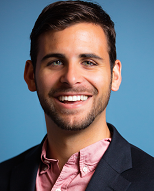 Dylan Colligan is editorial director at Javelin, a literary and public relations agency based in Alexandria, Virginia. At Javelin, Mr. Colligan is responsible for managing relationships with authors and publishers, developing book ideas and proposals, and providing editorial support during the writing process. His work with the agency has appeared on The New York Times bestseller list. 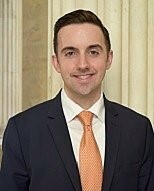 An experienced writer, he previously supported a variety of clients at the consulting firm FP1 Strategies and spent several years in Congressional leadership, culminating his Capitol Hill service as deputy press secretary for the House Republican Conference. He holds a degree in political science from Hampden-Sydney College, where he was an award-winning journalist for the student newspaper and was elected Omicron Delta Kappa. 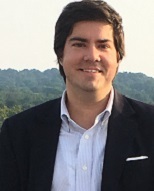 Mr. Colligan also studied at the University of St. Andrews and St. Anne’s College, Oxford, and is a graduate of the Sorensen Institute for Political Leadership at the University of Virginia. Breanna Deutsch is the communications director for a member of the U.S. House of Representatives. In that position she manages the member's media relations, communications strategy, and publication of written materials, including OpEds, speeches, statements for the press, and content for social media platforms. Prior to working on Capitol Hill, Breanna wrote for The Daily Caller. She has published stories in the Seattle Times, Roll Call, The Hill, Townhall, The Daily Caller, and on FoxNews.com, among other outlets. 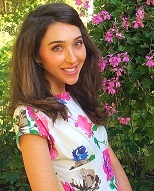 She is currently earning her masters in corporate communications and public relations at Georgetown University, and earned her undergraduate degree at Scripps College, where she majored in American Studies and minored in Spanish. William Gribbin is a speechwriter for the Secretary of Housing and Urban Development, Dr. Ben Carson. He worked at The Heritage Foundation as speechwriter to former Sen. Jim DeMint, and has written for various leaders in Congress and across the conservative movement. He received his B.A. from Thomas Aquinas College in Santa Paula, CA. A lifelong resident of Washington, D.C., in his free time he enjoys crabbing on the Chesapeake and exploring abandoned buildings in the countryside. Bill Rivers is a speechwriter at the U.S. Department of Defense. Prior, he was speechwriter for U.S. Senator Deb Fischer (R-Neb.) and press secretary for U.S. Senator Pat Toomey (R-Pa.). 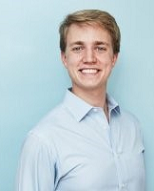 He holds an MPA from the University of Pennsylvania (2016), where he studied as a Truman Scholar and a BA in International Relations from the University of Delaware (2010). In his spare time, Bill enjoys the three R’s: running, reading, and writing. 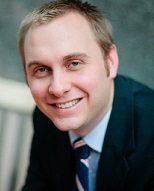 Steven Stafford is a speechwriter for Senator Rob Portman of Ohio. 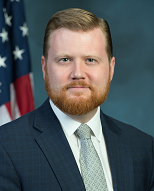 He has previously served as communications director for former Congressman Joseph Pitts, and a legislative correspondent for Congressman Thaddeus McCotter. Mr. Stafford’s writing has been published by CNN, The Wall Street Journal, National Review, Independent Journal Review, and many other publications. Mr. Stafford holds a B.A. in political science and English from the University of Massachusetts-Amherst. Alec Torres is a speechwriter and conservative coalitions advisor for House Majority Leader Kevin McCarthy. He was previously a William F. Buckley, Jr. Fellow in Political Journalism at National Review. Mr. Torres’s writing has been published by The Wall Street Journal, The Washington Post, The Los Angeles Times, National Review, Real Clear Politics, Reuters, and other publications and his speeches have been delivered at venues across the country including at the 2016 Republican National Convention and on the floor of the House of Representatives. Mr. Torres holds a B.A. in Humanities from Yale University. F. Cartwright ("Cart") Weiland is chief speechwriter for John Cornyn, the Majority Whip of the U.S. Senate. 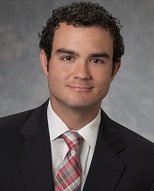 Prior to his current position, Cart worked as a policy analyst for TCCRI, a think tank in Austin that advises members of the Texas legislature and Governor's office. He also clerked for Judge E. Grady Jolly of the U.S. Court of Appeals for the Fifth Circuit and practiced regulatory litigation at a law firm. His op-eds have been featured in various Texas newspapers, including the Dallas Morning News and the Houston Chronicle. Cart's research article "Border Wall Foundations," which discusses Mexican law, history, and morality related to current U.S. border security proposals, is forthcoming in the Willamette Law Review. He is also at work on the manuscript of his first novel. Cart has an A.B. from Duke University and a J.D. from Harvard Law School. David Wilezol serves as the chief speechwriter to Secretary of State Rex Tillerson. He previously served as the speechwriter to RNC Chairman Reince Priebus during the 2016 presidential election cycle. From 2010-2015 David worked for former Secretary of Education William J. Bennett as a writer and radio producer. In 2013, Bennett and Wilezol co-authored the book “Is College Worth It?”. David received an M.A. in Latin and a graduate certificate in ancient Greek from the Catholic University of America, and a B.A. in History from American University. He has produced freelance articles for multiple publications, including The Weekly Standard, National Review Online, and the Washington Times. He is a member of Capitol Hill Baptist Church in Washington, D.C.